PHOTO BY MARK CHAMBERLIN Young Women's College Prep will be moving. PHOTO BY MARK CHAMBERLIN Vertus Charter School will be moving. Growth is pushing two local charter schools out of their current buildings in the northwest quadrant of the city. Young Women's College Prep, an all-girls public school, is moving from 311 Flower City Park to the Summer Sands Campus on Hoover Drive in Greece. 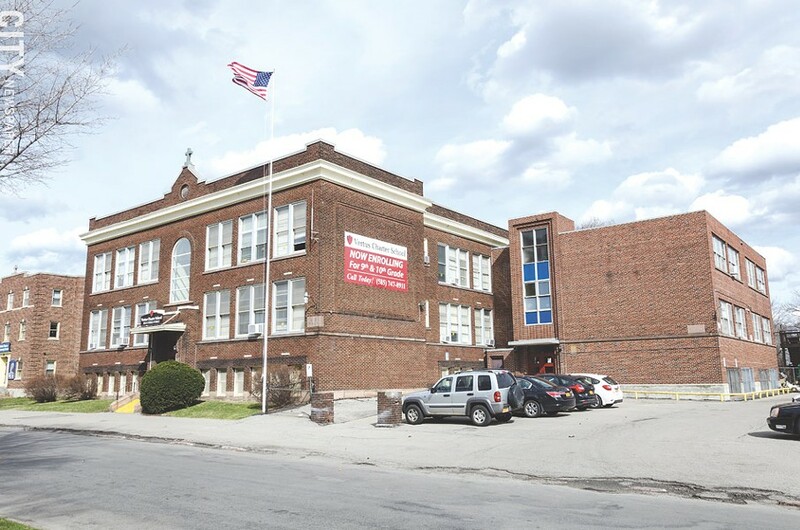 And Vertus, an all-boys public high school, is moving from 2 Austin Street to a larger, renovated building on Humboldt Street in the city. The buildings that the schools currently occupy used to house Catholic schools and are owned by their respective parishes. Young Women's College Prep will open in its new, larger location in August. The Hoover Drive building is much more modern than the school's current location, says Principal Toyia Wilson in a school newsletter, and it will have a full-size gym, modern science labs, classrooms for music and art, new food service program, and other amenities. The school serves students in grades seven through 10, but plans to expand to a full high school. 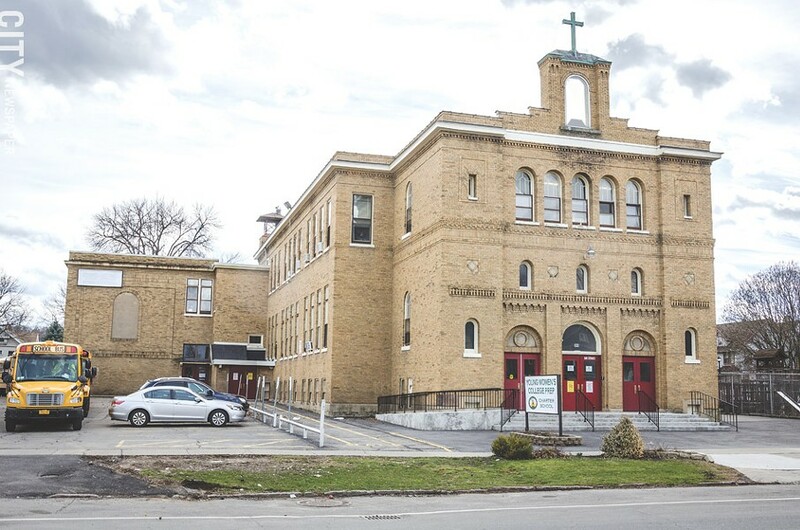 The school is in its third year of operation and will leave its current site with a year still left on its lease, says Carol Wynne, director of finance for Catholic parishes on the west side of the city. The school was formerly the Sacred Heart Catholic school. Vertus Charter School serves grades 9 and 10 but will add a grade a year until it's a full high school in 2017-2018, says Perry White, the school's co-founder and director of external affairs. Vertus will be in its new building in July, he says. "We're going to grow, and we want a facility that's designed for our unique program," White says. Vertus students' main curriculum is online. Students spend nearly all day with a learning team led by a full-time youth development specialist. Unlike the current location, the Humboldt Street building will have a gym. Vertus currently buses students to Total Sports Experience in Gates for physical education. Vertus was at one time the Holy Apostle Catholic school. The growth may be good news for the charters, but it leaves two vacant buildings in the northwest quadrant. Wynne, the finance director, says that inquiries about the soon-to-be-vacant buildings have come in from day care operators as well as other agencies, such as the Volunteers of America. A subtenant will be sought for the Young Women's site, she says, since the charter is leaving earlier than expected. The parishes intend to keep ownership of the buildings, Wynne says, because they need the rental income.